Advanced Legamax with vehicle specific stylish tip design. Legamax Premium mufflers offer the performance benefits of a sports muffler with the class and elegance of a premium muffler. 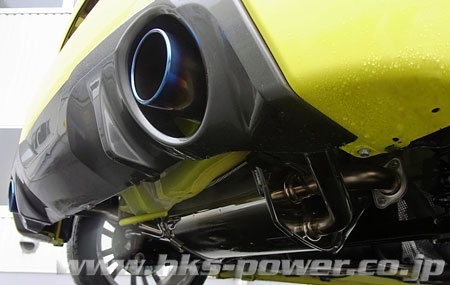 Every tail pipe design is customised per application to ensure that muffler has impact and becomes a focal point in the appearance of the vehicle, yet blends with the overall design of the car. Legamax Premium mufflers are constructed of SUS304 grade stainless steel to give a high lustre finish which is durable. Some applications also incorporate the latest automotive fashion trends by featuring titanium tail tips which adds to the premium appearance with its distinct look.